As a professional development expert, author Kelli Clifton Ogunsanya thrives on enabling millennial women to embrace their infinite potential and to lead empowered lives with unshakable confidence and work ethic. As a trained strategist, public speaker, blog contributor, and executive advisor, Kelli has first-hand experience with the highs and lows of navigating career success across various business sectors. A proud millennial, Kelli balances her professional commitments with community volunteerism, global travel, and entrepreneurism. Throughout her tenure in corporate America, Kelli has served as a professional development coach to entry to mid-level professionals, millennials, and career changers. With experience as a Big 4 management consultant, Kelli has Fortune 100 client experience leading strategic transformations for healthcare systems, federal agencies, biopharmaceutical companies, and international ministries of health. Kelli’s unique niche is her ability to translate personal and real-time professional experiences into prescriptive guidance and honest conversation. As a debut author, Madame Millennial represents more than 10 years of Kelli’s personal experiences in climbing the corporate ladder while aiming to balance work, life, and everything in between. It is no secret that endless misconceptions exist about millennials. From how we approach the traditional workplace environment, to habits about saving money, or even our desire to have a career driven by purpose over profit, we can be challenging to characterize and seldom fit into a single mold. Regardless of the perception, one undoubtable trait of millennials is our propensity to become unique trailblazers, setting our own cadence for navigating and succeeding in today’s society. Within the broader millennial population, there is one demographic that stands out from the rest due to their endless ambition, glass-ceiling-shattering successes, and uncanny determination to lead personally and professionally fulfilling lives. That group is none other than millennial women. 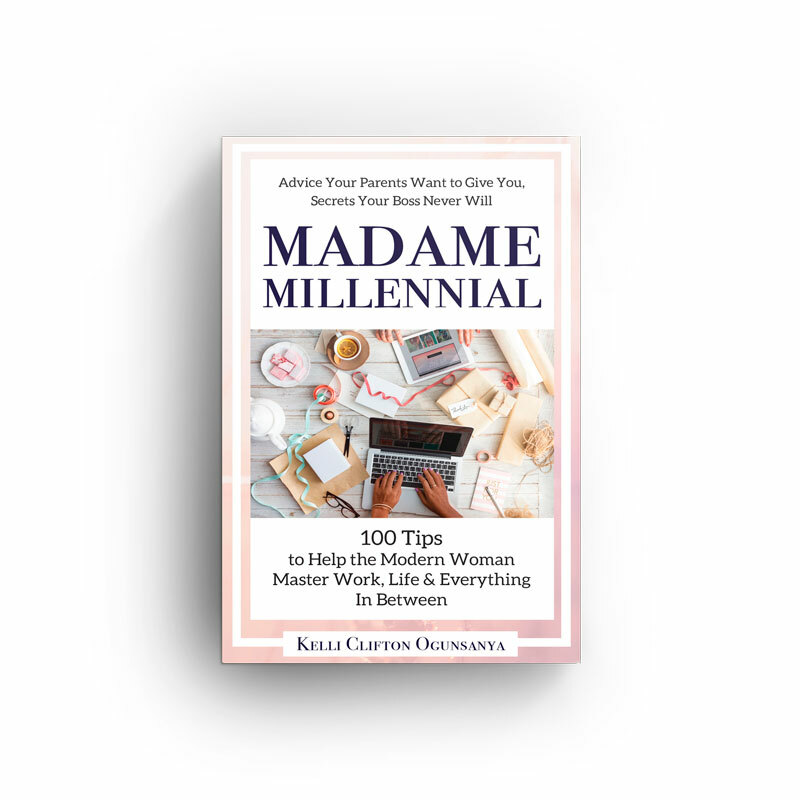 Offering a fresh and honest perspective on mastering success in modern-day situations, Madame Millennial is a compilation of over 100 prescriptive professional development strategies, updated etiquette guidelines, and a personal growth guide for career-minded millennial women.